Don't Make Me Poison Your Dinner Shirts! You don't like your dinner? Don't mind me smiling........... Just keep eating. 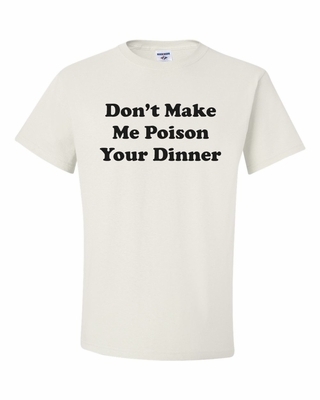 Remember� you found the Don't Make Me Poison Your Dinner Shirts at TShirtHub.com, where high quality came at a low price.